19" Tall. 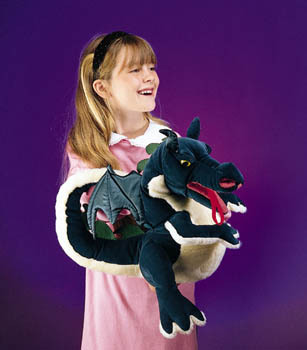 With her flame-red tongue and fierce scowl, this mythical Dragon puppet has the power to scare away nightmares! But never fear; her soft velour body, satin wings, and plump plush belly make her the dragon of your dreams.